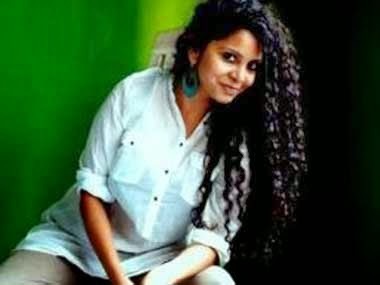 Rana Ayyub is a relatively lesser known journalist. Lesser known because she is quite third grade at what she does. More than a journalist, she appears to me like a scribbler rather. Invariably always, her writings head exactly opposite to sensibility and logic. But with all her inabilities, she still has some skills which are noteworthy and legendary. Most notable among them is her pathological hate for Modi and anything or anyone remotely associated with that man. This also includes anything good about Gujarat as well. Like an average intellectual moron (IM) of this country, she dons the Burqua of secularism at the drop of a hat and always seen hobnobbing with the left liberal frauds contingent at any given opportunity. Like routine to any IM, her love for the ultra-secular party called Congress is on the prescribed line. Her other skills include but not limited to, extreme love for Nehru and down till Rahul Gandhi; passionate hatred towards RSS, BJP, VHP and all other Hindu centric organizations. And last but not the least, a solid affinity to peddle as much lie as possible while remaining notoriously hypocrite in every did, utterances and scribing. Now, you may wonder, why on earth I am writing on this woman. So let me explain the point of inspiration of this post to start with. Somewhere around this week, this journalistic marvel peddled another 1241 worded lie that routinely pass off as op-ed in Indian journalistic terms, in one of the daily called DNA. No marks for guessing, since abject lie towards Modi and his close associates is what is expected from such intellectual morons. Being trademark to herself, she appeared vehemently critical about Amit Shah and his subsequent elevation as the president of BJP. We will analyze her lie in detail later but this little introduction is necessary to set the tone. Now reasons best known to DNA, they pulled down this article from their online portal within 24 hours of publishing it. There could be various reasons for it, which must include that the said article is written with a jaundiced eye of hatred and supplied no supporting facts to back up the fabricated claims. What prompted DNA to pull it down is none of my interest and I am not going debate on that. It is between DNA, its reader base and Rana Ayyub. I seldom read that newspaper and it hardly matters to me what their functioning protocols are and of course their ethics or the lack of it. Anyway; the pull down of the article brought about a furor in India with Ayatollahs of free speech seen making statements left-right-and-center. I am not debating on these Ayatollahs because if stopping someone from peddling lies is curtailing of free speech, I resign. Since the said article is no more on DNA, I had to do some work to get hold of the article from other source. No, I knew the article would of third grade nature but was curious to see the latest set of lies coming from another lie manufacturing unit. To begin with, let’s see the reasons behind writing such an article at the first place. There is a serious existential crisis with the paid journalists, who routinely were seen writing against Modi for last 10 years. The corrupt system at the center provided a conducive environment for these liars to grow. Such lies always helped the corrupt in Delhi to project their primary opponent in real bad light. It was a win-win situation for both the liars and the corrupt. The liars made fortune by just hating one man and Hindu religion. It is a different matter that the voters saw the trick and savagely thrashed these national thugs in the general elections. Modi as the PM is a death warrant for these hydra headed monsters. But the morons can hardly do anything now. The person whom they wanted to rot in hell is now the PM of this country and these crooks must be burning inside out with desperation. But can they take a double whammy? Frankly, the morons see a danger in Amit Shah. Because they see a Narendra Modi in him. The way Amit Shah coordinated in UP, it actually threatened the livelihood of these divisive seculars and shook them off their feet. A massive 70+ seat in UP means a big chunk of fraudulent secularism gone out of the window for these swindles right there. They know, they can’t allow the pseudo secularism to vanish from UP so easily or else they may never come anywhere near to assume power in Delhi. That is a long term concern while the short term concern is the UP state elections in next year and half. If the trend of general election will continue then all pseudo seculars will be wiped out from UP. And knowing BJP functioning in other states, the frauds may very well lose the largest state forever. That is a very dangerous proposition for these divisive appeasers. But they know they are somewhat helpless. Attacking Modi is futile for them because a long 12 years of slandering has pushed them to this horrendous of a situation where they find themselves middle of nowhere. But then they can’t lose their beloved Muslims, who also voted for Modi so easily; can they? So the next best option is to get back to their old dirty trick and start all over again, albeit, change the target. So Amit Shah must replace NaMo as Shah is seen as second in command to take the reins once NaMo calls it a day. As the IIT coaching institutes tout around advocating kids to start preparing for the test from standard 8 on the notion ‘Start Young’, these frauds are starting quite young to face the Amit Shah challenge they see coming in next 20 years. They might simply have realized the 12 year stint they got to malign Modi is too short for any real impact. Why not have a 20 year window to complete the task? That is the precise reason why skullduggery of these charlatans has increased many folds against Amit Shah in recent times. The idea is simple – let’s threaten the hell out of UP voters as a PoC before passing on that experiment pan India wise. All these efforts are just to scare the UP voters against Amit Shah, who is BJP in charge of the state. And there where the usual suspects like Rana Ayyub make themselves useful for these left liberal frauds in Congress and other secular outfits. I won’t be surprised if this time even the SP and Mullah Mulayam opening their wallets generously for these sold out outlets to cash in. They know they failed in their fabricated mission against Modi but they can’t let Amit Shah grow larger than life and engulf their very existence with impunity. You know, fools learn things the hard way or maybe, they never learn at all. Hope these morons realize that, it is their slanders that made Modi which he is now from an average state leader. See, I call them intellectual morons not without a reason. In her post Rana Ayyub let us know her desperation which she conveniently terms as the concern of the nation. Concerns of the nation? I wonder which part of the nation she is talking about and that too after seeing the seat tally of BJP in last general elections. Ohh, for these jerks 76% didn’t vote for Modi, so the nation for RA must be of those 76%. Modi is bad and unacceptable. So any mathematics to prove that logic should be fine. Here is a small excerpt from her bile. Now this lady preoccupied with her set of concoctions is leading her argument to go in one filthy direction. Can she for once explain why all those who were seen acting against Modi and his confidants were offered plump posts by Congress after their retirement? What a certain Ashwin Kumar has done for the public discourse to be installed as the governor of a state? And by the way AK resigned because his name surfaced on Augusta westland scam which no way relates to NaMo, BJP or Amit Shah. It is the misdeed of Congress they tried to hide by installing AK as a governor as reward for protecting the thugs during the investigation. From Blackberries to plump posts, Congress played every trick to hide their mischiefs but the intellectual moron feels the hand of Modi when the law closed in on these thugs. In another paragraph, she talks in length about Kamala Beniwal and how big a holy cow she always was. The behavior of Kamla Beniwal as a governor was always deplorable, if I happen to term that in milder terms. But I don’t blame KB entirely because Congress posted her in Gujarat for this specific job. Rana Ayyub sees fault of everyone else except KB’s but conveniently sidesteps the unnecessary regular interference of a governor in the day-to-day functioning of a state. Is the governor there to oppose whatever the state government decides or to felicitate a smooth running of the state? Was KB the governor or the leader of opposition in the state assembly? Such disgraceful creatures like KB must be thrust out of the system for good and that’s precisely what the Modi government did. I can go on and on but her article is not worth of that. As I said earlier, it was a 1241 worded piece of lie and we better leave it at that. That said, I hope Rana Ayyub, like many other pseudo secular louts, finds solace with the fact that they failed miserably with their lies and it is time to unlearn the fraudulent ways and bring sanity to their work. Lies walk really fast but their longevity is too short for an impact in the long run. Great post. This Rana Ayyub was always a Congress mouthpiece and Jehadi sympathizer. For her anything and everything NaMo does is against the nation while the Gandhi's fart is also a blessing for the country. Such are her clandestine myopic views. Good post. Ms Ayyub has always sounded vindictive and out their to make her point with make up stories. She once said that all online support of BJP comes from USA and especially only from two Gujarati communities, Patel and Shah. Although, these communities are in large number in USA, but, they are business people and do not have time to spend time on line. You have used your freedom of speech very well!! I am no fan of the person you are trying to denigrate here. ...but a quick read of your article ...to me..implies that you are just a big fan of modi and bjp...and absolutely hate congress. So if you insist that you Rana is favouring congress...then you are no better...you are just favouring bjp. At the end of the day.. Neither of you are giving a neutral view to your readers. She is a Pakistani stooge funded by Saudi money! The above points raised by Cynical are absolutely true wrt Ms.Rana.I was following a debate on YOGA on NDTV(English). BJP was represented by Mr.Sambit Patra.The level of the discussion was really poor. Ms.Rana ,I could feel was really disturbed about the success of this Yoga day worldover and was trying to term it as just another BJP Saffronisation programme of our society.She is just like Ms.Teesta Setalvad and should not be invited to debates of National interest,as they are not concerned with the well being of our Country.Also a genuine advice to Mr.Patra,being a strong Spokesperson of the BJP .a qualified man as well as a good orator should avoid such debates comprising of such shallow participants.